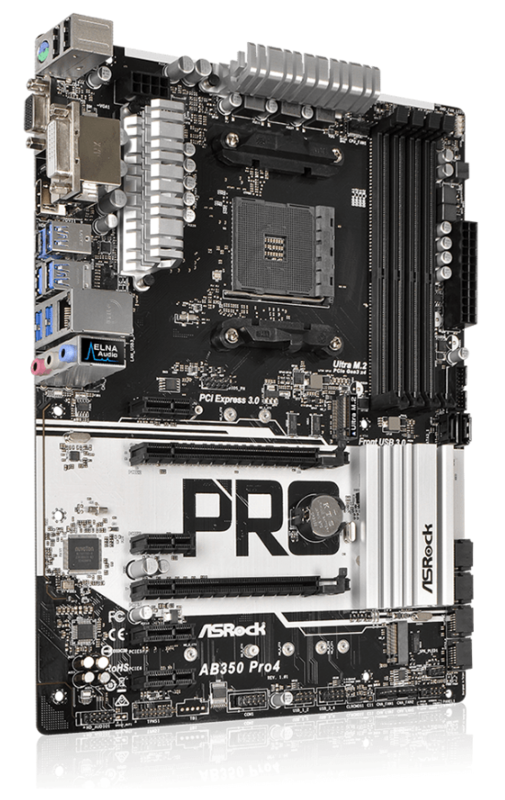 It’s important to keep the drivers for your ASRock AB350 Pro4 updated to make sure the motherboard works properly. 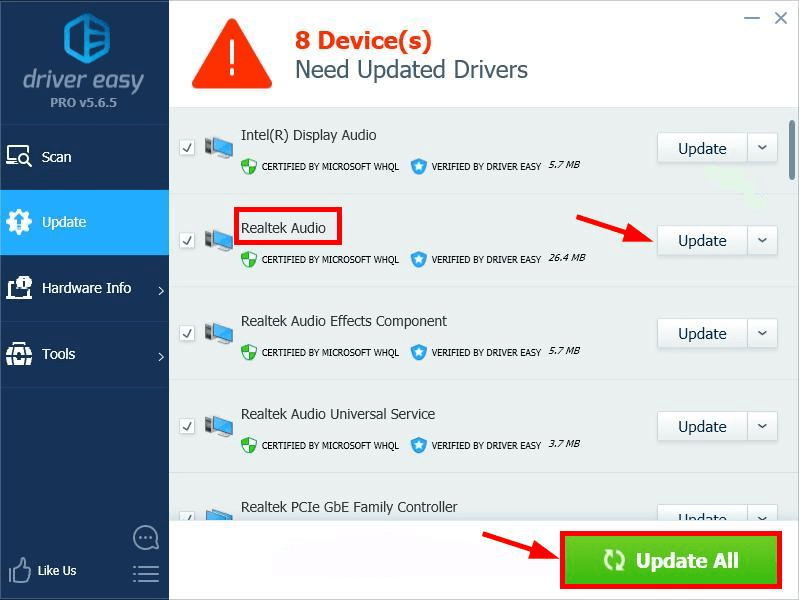 In this post, we’re showing you 2 easy ways to update your ASRock AB350 Pro4 drivers. There’re 2 options for you to download & update ASRock AB350 Pro4 drivers in Windows. 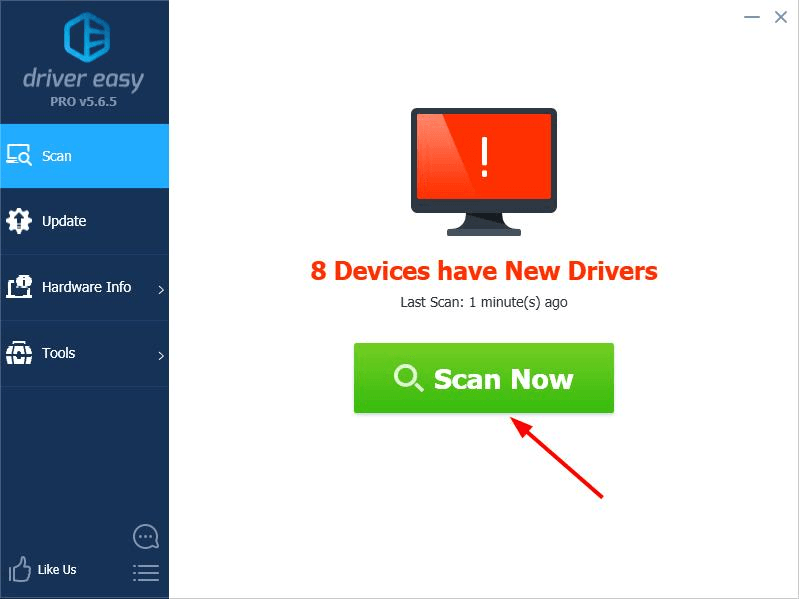 Option 2 – Manually – You’ll need some computer skills and patience to update your drivers this way, because you need to find exactly the right the driver online, download it and install it step by step. If you don’t have the time, patience or computer skills to update the ASRock AB350 Pro4 drivers manually, you can do it automatically with Driver Easy. 3) Click the Update button next to your audio driver to automatically download the correct version of its driver, then you can manually install it (you can do this with the FREE version). ASRock keeps updating drivers. To get them, you need to go to ASRock’s official website, find the drivers corresponding with your specific flavor of Windows version (for example, Windows 32 bit) and download the driver manually. Warning: Downloading the wrong driver or installing it incorrectly can compromise our PC’s stability and even cause the whole system to crash. So please proceed at your own peril. 1) Go to ASRock’s official website. 2) In the top right corner of the page, type AB350 Pro4 in the search box and press Enter. 3) Click Download as it shows up in the search results. 4) Make sure the detected OS is right and then download the driver packages for your ASRock AB350 Pro4 motherboard. 5) Double-click on the downloaded file and follow the on-screen instructions to finish the install. That’s it – 2 easy ways to help you get the latest drivers for ASRock AB350 Pro4 in Windows. Hope this helps and feel free to leave us a comment if you have any questions.